Chinese broccoli (芥蓝, Gai Lan) is a leaf vegetable with big, thick, flat leaves and fat stems. It is one of the most popular and widely used leafy vegetables in Chinese and Asian cuisines. The vegetable has a bitter note and is slightly sweet. My favorite part about Gai Lan is its texture. The stalk has a crunchy texture like asparagus, only juicier. The leaves are meaty and soak up plenty of sauce once cooked. 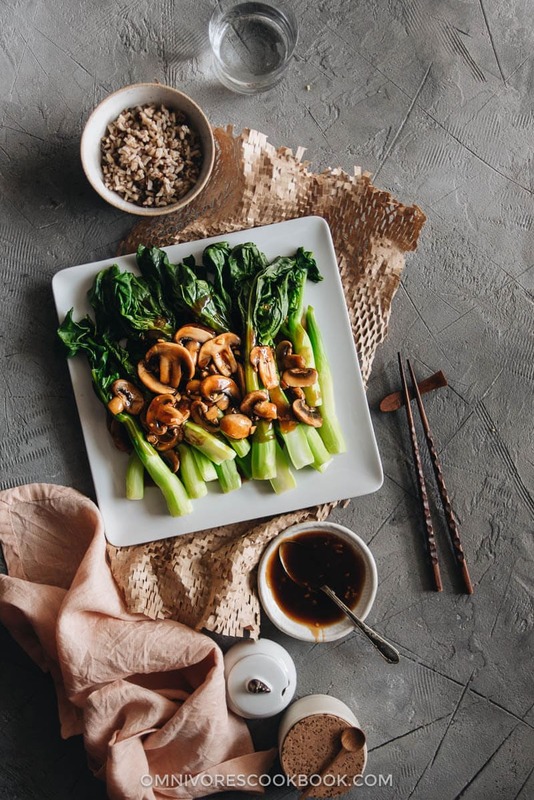 One of the easiest ways to prepare Chinese broccoli is to blanch it, then serve it with oyster sauce. You can see that recipe here. 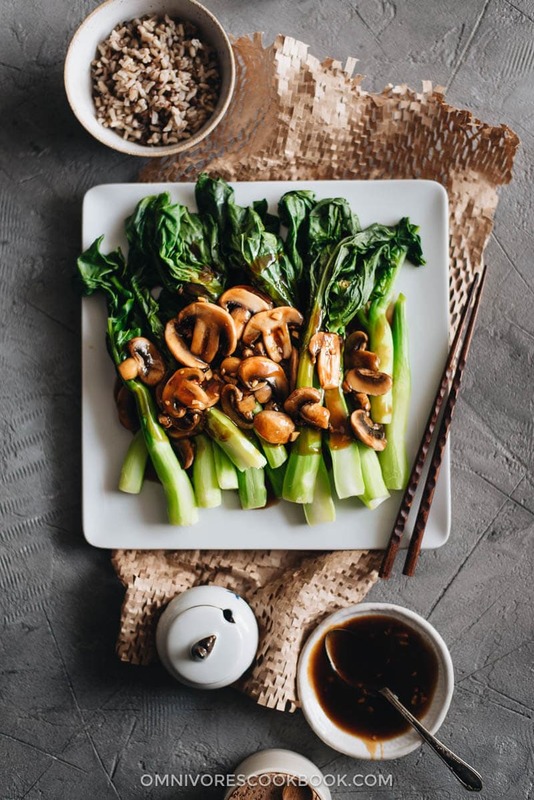 When I developed the recipe below, I used a slightly different approach – steam the Chinese broccoli in a large skillet, then use the same skillet to prepare the mushroom sauce. 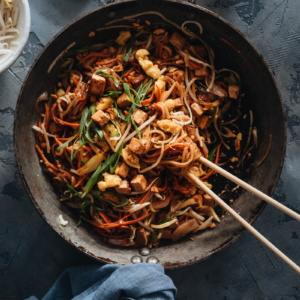 This method shortens the cooking time and allows you to cook everything in one pan. I made a simple brown sauce instead of the usual oyster sauce, so you can enjoy it even if you follow a vegetarian diet. 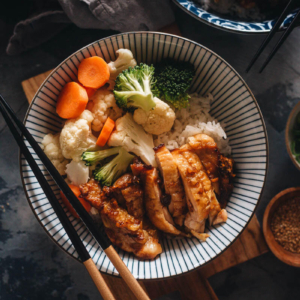 Of course, if you miss the more complex notes of the oyster sauce, you can use a tablespoon of oyster sauce to replace one tablespoon of soy sauce in the recipe. Try to buy smaller stalks (with diameters of about 1/2” or 1 cm) with fresh-looking, dark green leaves. 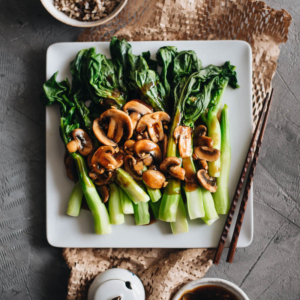 The smaller-sized stalks of Chinese broccoli have a tenderer texture. 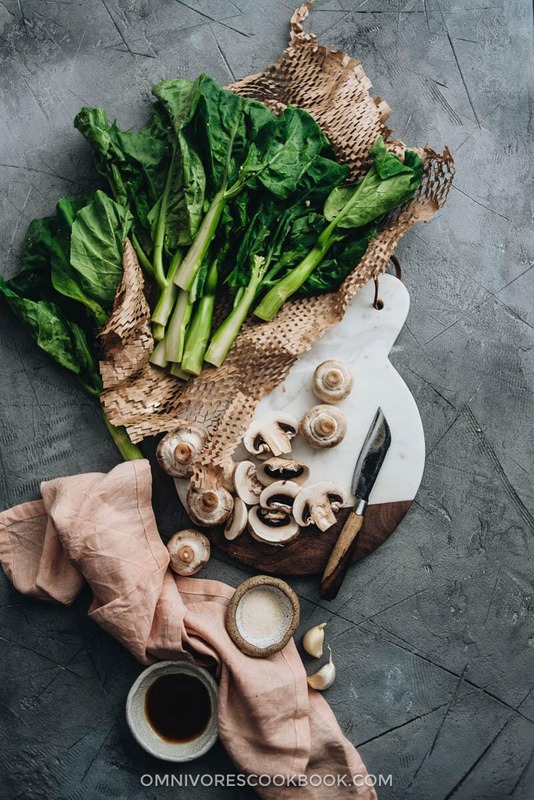 If the stalks of Chinese broccoli are very thick, split the stalk in half lengthwise, so it will take less time to cook through the stalk without overcooking the leafy part. Use a peeler to remove the tough surface of the stalk. It creates a better mouthfeel. A quick and delicious way to put plenty of veggies on your dinner table. Add 1/4 cup water to a large skillet and heat over medium high heat. When the water starts to boil, spread the Chinese broccoli in the skillet, and sprinkle with pinch of salt. Cover and let steam until the Chinese broccoli just turns tender, 2 to 3 minutes, depending on the size. Flip once or twice in between and check the doneness. Transfer to a big plate when cooked. Wipe the residual water with a few layers of kitchen paper towel held in a pair of tongs. Add the oil and garlic. Stir a few times to release the fragrance. Add the mushrooms. Stir and cook until golden, about 2 minutes. Turn to medium low heat. Stir the sauce again to fully dissolve the cornstarch. Pour sauce into skillet. Immediately stir until it thickens. 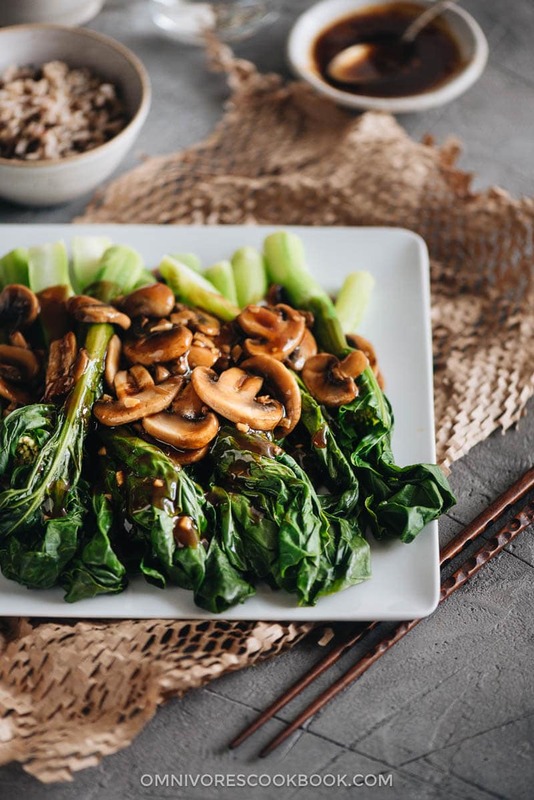 Pour the sauce over the cooked Chinese broccoli. 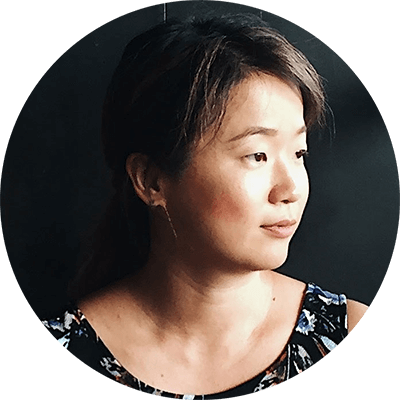 Other types of mushrooms work, too. 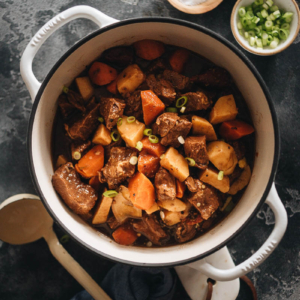 The dark soy sauce adds an appetizing dark brown color to the sauce. You can skip it if you do not have any on hand.